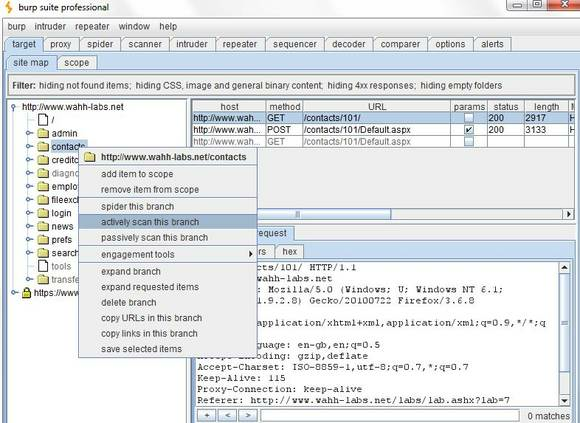 Burp Suite is a collection of IT security audit tools for testing Web application security. The Burp Suite toolkit includes components such as repeater, sequencer, proxy server, spider, comparer and intruder. Each of these components has specialized features for testing of Web applications. Burp Suite is available in commercial or community editions. Burp Suite enables the combination of human imagination with state-of-the-art automation to make IT security audits easier and quicker.